I’ve been reading Shannon Jackson’s Social Works: Performing Art, Supporting Publics, a much needed discussion of social arts practice, new genre public arts, or whatever you want to call such hybrid forms of expressive work. One of Jackson’s big claims is for works that do something other than disrupt institutions, commonly accepted practices, the status quo—when notions of support, senses of care, are also critical to public life. SJ: When Life is invoked in art practice, it is often equated pretty quickly with associations like “freedom,” “spontaneity,” and “disruption,” and I thought it was worth thinking about some other elements, especially the elements of the world that make Life possible. That made me interested in certain kinds of expanded art practices that not only celebrated freedom, but also explored interdependent relationships of obligation and care and sometimes even responsibility. If a political art discourse becomes too enthralled with breaking down institutions, then it ignores the degree to which we are in fact dependent upon institutions. Yes, the “institution” constrains; but it also sustains. Can we stay complicated about this? My hope is that by thinking about support as a complex system, as a social question but also as an aesthetic question, we can activate a different conversation. A different conversation—and perhaps it’s particularly timely to leave aside “disruption” as a term of art, since it’s been so expertly co-opted by market-building and entrepreneurship. Perhaps a new discourse of interdependence and support can gain new traction. Among other artists and works, Jackson explores the career of Mierle Laderman Ukeles at length. Ukeles is one of my longtime heroes for a bunch of reasons, and it made me realize how much some of my own projects are partly an homage to her example. The above image is from her durational work, Touch Sanitation, performed between 1978-1980, which you can read more about here. 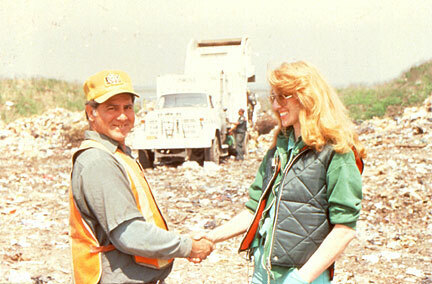 Ukeles shook the hand of every sanitation worker in New York City and thanked each of them for keeping the city running. Touch Sanitation is just one of many projects realized by Ukeles over decades of work as artist-in-residence at the NYC Sanitation Department. 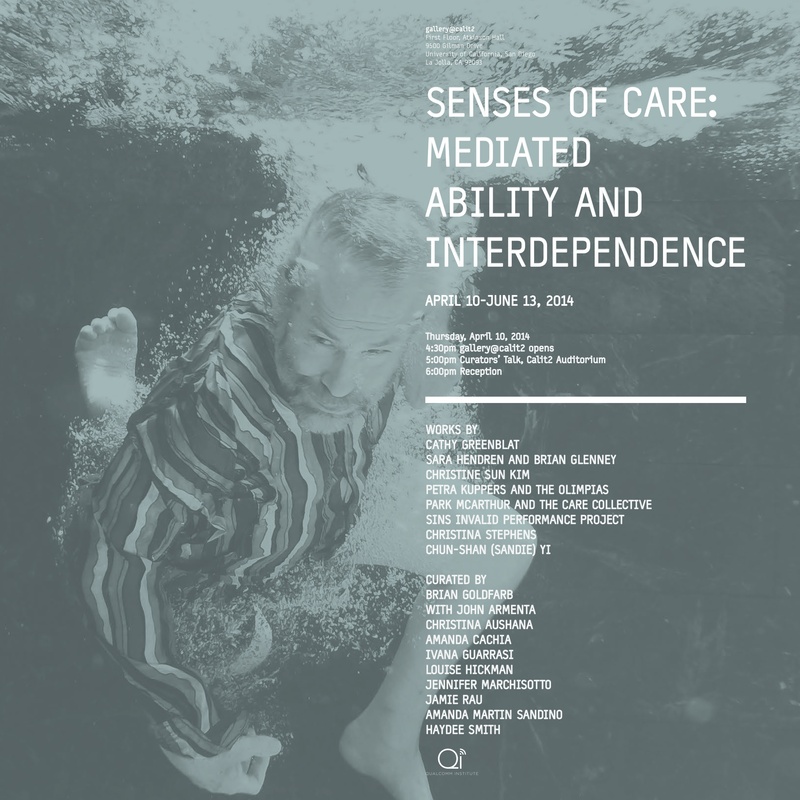 I’ll be referencing Ukeles when I travel to UCSD in May, to present the Accessible Icon Project as part of Senses of Care: Mediated Ability and Interdependence.